EltaMD® So Silky Hand Crème is clinically proven to moisturize dry, flaky skin up to 12 hours. So Silky helps maintain moisture, even after handwashing. Powerful ceramides, gentle emollients and antioxidant vitamin E nourish and revive dry, rough hands. So Silky uses sclareolide, a plant-derived ingredient that helps improve the appearance of skin discoloration. This luxurious crème enhances skin luminosity against urban pollution. Oil-free and non-sticky, it absorbs quickly and keeps hands feeling silky soft. EltaMD® So Silky Hand Crème is fragrance-free and suitable for sensitive skin. 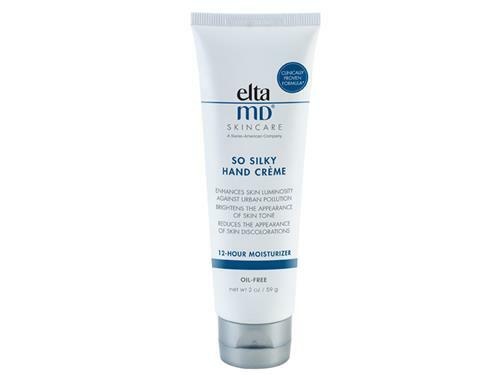 Tell us your thoughts about EltaMD So Silky Hand Creme and receive 50 rewards points! I love EltaMD products. The sunscreen products work well and do not irritate my sensitive skin. So, I thought I would try the hand creme. It is truly the best hand creme ever. I use it every night. Very hydrating for dry winter hands. I have re-ordered many times. Perfect gift for a friend. I ordered this hand creme after trying the sample that came with one of my LovelySkin orders! I really need this special skin softening formula and like that it is never greasy. I share this hand creme with my husband so I buy extra tubes. Excellent quality and sensible pricing. I really love this hand crème but I have 1 wish. Personally, I wish this crème had some level of SPF protection. Part of the reason that there is discoloration on my hands is the fact that I spend a lot of time outdoors and I haven't been careful about protecting my hands. I now try to make sure there is a least a little protection on my hands when I am outside. This is a good, not great hand cream. It could be a little thicker but it seems to do a good job and is fragrance free which is a must for me! I love the Elta sunscreens and gave this a try. On the fence as to whether I would purchase again. I love the EltaMD products. I started using the sunscreen first, then decided to order the hand Creme after getting a sample. It's great, leaves my hands silky smooth, will definitely buy again. My husband and I were having dry cracked hands during the winter. I received a sample and was hooked on this since. Hands still feel moisturized after doing dishes. I always recommend to anyone with dry hands. This unscented hand cream is amazing. I do want to point out the lotion does not have a weird "unscented scent" like some products have. It's truly unscented and moisturizes your hands in a very effective way. Great product in winter. This is the perfect hand cream! 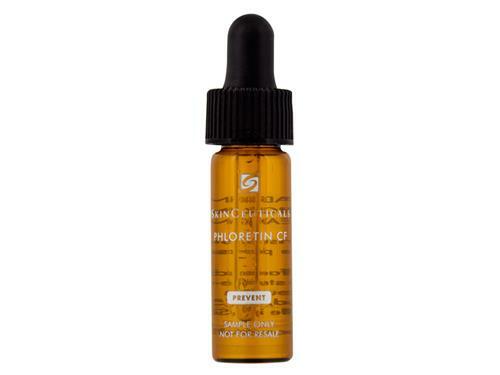 I have been purchasing this ever since I received a sample from LovelySkin. I am very sensitive, and I am thrilled this worked for me. The winter has been so cold I have had cracked cuticles and skin on my hands. It’s so uncomfortable and hurts! My hands healed after I started using this, and I’ve had no problems since! I apply it a few times every day, and it’s so soothing, and it feels SO SILKY! I love it and continue to purchase it on a regular basis. I'm a laser technician & aesthetician, so I have to wear gloves a lot, which really dry out my hands, I got this as a sample in one of my orders and fell in love right away, it does give primer like feel which honestly is the best part FOR ME personally, which a lot of people disliked from the reviews because that's what gives its silky feeling, and it honestly feels amazing, so I just ordered the full size and cant wait to continue using it! I have ugly hands, and this makes them look prettier! Not greasy! So, I hate my hands. I don't have pretty fingers, and as I get older, they're getting more wrinkled and veiny. This is the only hand cream that actually really does makes them smoother, plumper, and brighter. The main thing holding me back from hand creams is I have to apply them then wait 5 mins before I can touch anything, so it can absorb, which is a pain because I'm busy AF! But, I slap this stuff on, and pretty much instantly, I can touch anything without getting it all finger-printed up, and I love that because I got ish to do, you know what I'm sayin? I also really like the smell of this product. It's a gentle clinical smell. To be clear, I really, really really, really love the clinical smell. It feels really clean, and I'm glad it's not a floral smell. My hands are constantly in water and are rough and dry. I have been using this hand cream for several weeks. I do use it more than twice a day. The skin on my hands is firmer and I feel that some of the dark spots from sun damage are fading. Finally, something that works. This is very soothing, not too greasy and keeps hands moist and young looking all day. I will repurchase when I run out, and keep another tube in my purse. 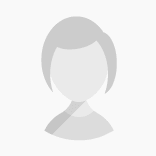 Doesn't irritate sensitive skin, either–a great line of products. I’m very picky about lotions, and this is a great find. Not greasy at all and lasts! Hands feel great. This hand cream is not greasy and gets absorbed quickly. Leaves my skin smooth. Protect hands from the sun, absorbs into the skin nicely. This hand cream is so moisturizing and thick so a little goes a long way. It is a great product that instantly soothes my dry, itchy skin. I received a sample of this and have now purchased. Wonderful hand cream that soaks right in and helps my dry, aging hands look better. Thanks LovelySkin for carrying brands that are amazing. As with all EltaMD products the quality and effectiveness is present with this hand cream. I’ve NEVER been disappointed with any of the EltaMD products. They do what they say they do all at affordable prices. This is a great hand cream that provides just enough moisture without being greasy. I received a sample of the Elta So Silky Hand cream and liked it so much that I ordered a tube. This product is good but would like it to be longer lasting. I would purchase it again.